Mix the ginger, garlic, lime juice and cilantro and allow to infuse for 15 minutes. Strain and mix in the salt and aji amarillo paste. Cube the heirloom tomatoes, pit and cube the avocados and peel and slice the mango. Toss together and set aside until ready to use. Slice the jalapeno and mix with the onion. 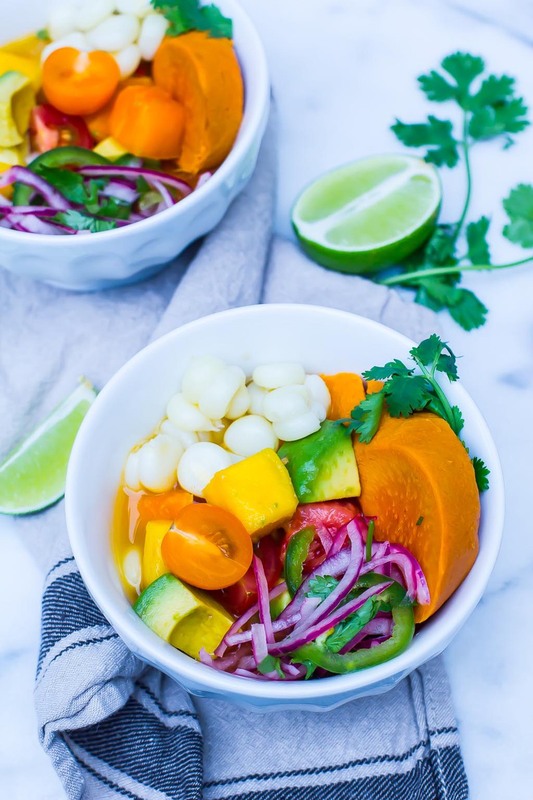 Mix in the cilantro and dress with the juice of 1 lime. Bring a large pot of water to a boil. Add the sweet potato to the pot and cook until tender. When you can pierce the sweet potato with a knife, remove the sweet potato from the water and allow to cook. When it's cooled enough to handle, remove the skin and slice into ½" thick pieces. In a medium sauce pan, bring a pot of water to a boil. Add the frozen choclo to the water, and cook for 3 minutes. Allow to cool and set aside. If you don't have choclo, use fresh corn on the cob, and cook it in the water for 3 minutes. 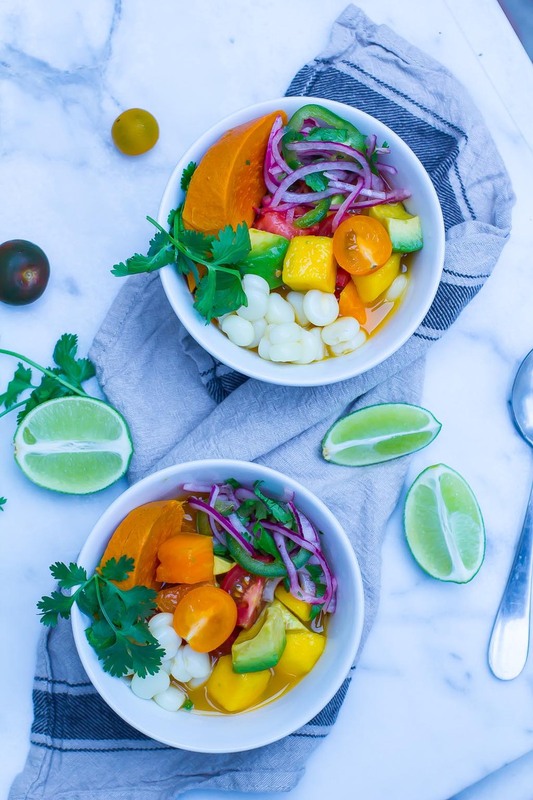 Divide the heirloom tomato, mango and avocado into 4 bowls. 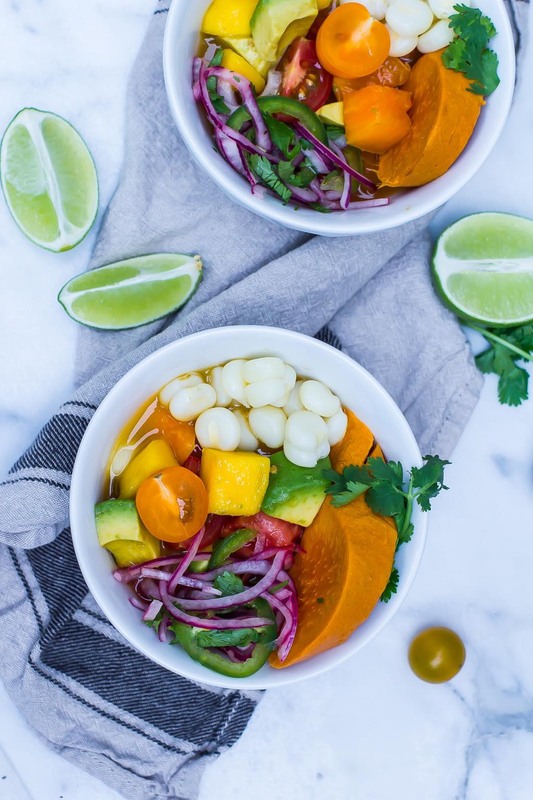 Top with a little bit of the leche de tigre, salsa criolla, sliced sweet potato and corn.